While budding filmmakers have a good idea of what happens during the production phase of shooting a film, most have little idea about what happens in post. Both picture and sound go through lengthy and separate editorial processes. These often become a rude awakening for new directors when it pertains to the time and budget requirements. These are the basic steps every modern film goes through in getting to the finish line. First cut – This stage goes by many names – first cut, first assembly, editor’s cut, etc. In general, this is the first version of the fully-assembled film, including all the scenes edited according to the script. Depending on the editor and the post schedule, this cut may be very rough – or it might be a reasonably polished edit. If the editing happens concurrent to the studio and location filming, then often there will be a “first assembly” and a subsequent “editor’s cut”. The former is a quick turnaround version, so that everyone can make sure the coverage is adequate. The latter is a more refined version. Some productions employ an on-set editor who is the person generating this “first assembly”. That editor is then often replaced by the main film editor, who starts after all production is completed. In that situation, the “editor’s cut” might be completely different in style, pace and technique from the first version. No matter how you get there, the intent of this step is to properly represent the intention of the script without concern for length or solving any content or script challenges. Director’s cut – Once the editor has completed the first cut of the film, then the director steps in. He or she works with the editor to complete the cut of the film. Directors often deviate from the written scene. Sometimes this is sufficiently communicated to the editor to show up that way in the first cut. Sometimes it isn’t, because it lives in the director’s mind as the production proceeds. During the “director’s cut” phase, the director and editor work closely to adjust the cut to reflect the director’s vision. Many directors and editors repeatedly work together on films and form a partnership of sorts. In these situation, the editor has a good idea of what the director wants and often the director only needs to give notes and review the cut periodically. Other directors like to be very “hands on” and will work closely with the editor, reviewing every take and making adjustments as needed. Depending on the film and whether or not the director is DGA (Directors Guild), this stage will take a minimum of 20 days (DGA low budget) or 10 weeks (DGA standard) or longer. The goal is for the director and editor to come up with the best film possible, without interference from outside parties, including the producers. At this point, the film may go through severe changes, including shortening, losing and/or re-arranging scenes and even the addition of new content, like insert shots and new voice-over recordings. Producer’s cut – After the director has a shot at the film, now it’s time to make adjustments according to studio notes, producer comments and feedback from official and unofficial test screenings. If the director hasn’t yet brought the film into line – both story-wise and length-wise – now is the time to do that. Typically most indie films are targeted at the 90-100 minute range. If your first cut or director’s cut is 120 minutes or longer, then it’s going to have to be cut down by a significant amount. Typically you can shorten a film by 10% through trimming and shortening scenes. A reduction of 25% or more means that shots and whole scenes have to go. This can be a painful experience for the director, who has suffered through the agony, time and expense of getting these scenes and shots recorded. The editor, on the other hand, has no such emotional investment and can be more objective. Whichever way the process moves forward, the point is to get the cut to its final form. Depending on the production, this version of the film might also include temporary sound effects, music and visual effects that have been added by the editor and/or assistants. Often this is needed to fully appreciate the film when showing it in test screenings. Locked picture – The goal of these various editing steps is to explore all creative options in order to end up with a film that will not go through any further editing changes. This means, no revisions that change time or selected shots. The reason for a “locked picture” is so that the sound editing team and the visual effects designers can proceed with their work without the fear that changes will undo some of their efforts. Although large budget films have the luxury of making editorial changes after this point, it is unrealistic for smaller indie films. “Locking the cut” is absolutely essential if you want to get the best effort out of the post team, as well as stay within your budget. Visual effects – If your film requires any visual effects shots, these are best tackled after picture lock. The editors will hand off the required source elements to the visual effects company or designers so they can do their thing. Editors are typically not involved in visual effects creation, other than to communicate the intent of any temp effects that have created and to make sure the completed VFX shots integrate properly back into the picture. Sound editorial – This will be covered in depth in the next blog post. It has its own set of steps and usually takes several weeks to several months to complete. Conform and grade – Prior to this step, all editing has been performed with “proxy” media. 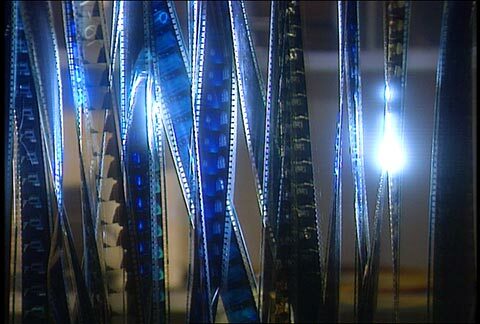 During the “finishing” stage of the film, the original camera media is “conformed” to the locked cut that was handed over from the film editor. This conform step is typically run by an online editor who works in tandem with the colorist. Sometimes this is performed by the colorist and not a separate individual. On very low budget films, the film editor, online editor and colorist might all be the same person. During conforming, the objective is to frame-accurately re-create the edit, including all reframing, speed ramps and to integrate all final visual effects shots. From this point the film goes to color correction for final grading. Here the colorist matches all shots to establish visual consistency, as well as to add any subjective looks requested by the director or director of photography. The last process is to marry the sound mix back to the picture and then generate the various deliverable masters. This entry was posted in editing, film info, film student, workflows and tagged editing, workflows.